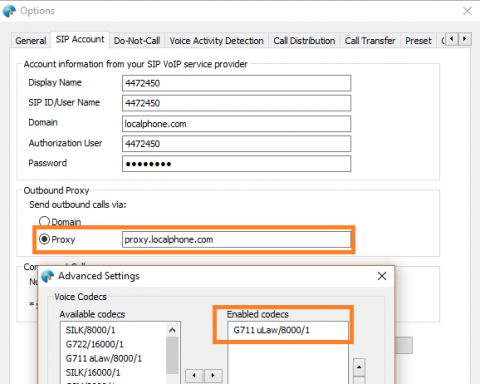 Ecsow Auto Dialer / Predictive Dialer FAQ - How to act the Auto Dialer (Multi-line) as the Voice Broadcast System? It’s very simple to act the Auto Dialer as the Voice Broadcast System. Step 1, Disable the Call Distribution Settings as below image. 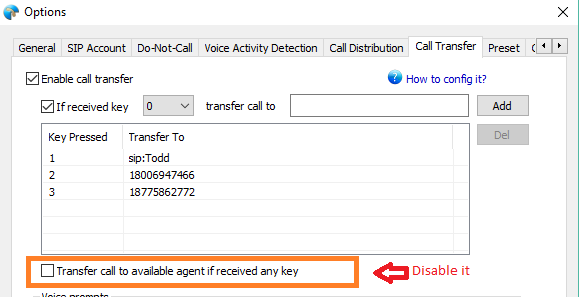 Step 2, Disable the “Transfer call to available agent if received any key” option as below image. And setup the phone number which you want to transfer call to it when callee pressed key. Step 3, Setup your VoIP account (We use localphone service as sample). You should setup it according to your VoIP account information. 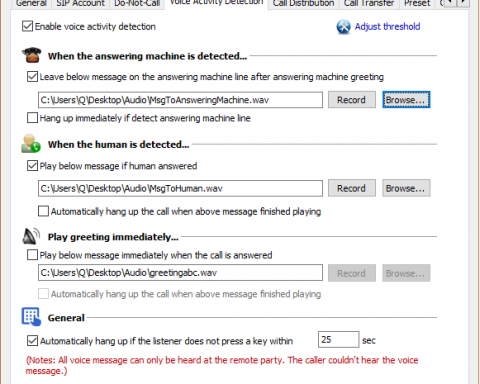 Step 4, On “Voice Activity Detection” option you can setup the voice greeting file which you want to play it on the call. Step 5, Import your campaign csv (comma-separated) file to Ecsow, then press “Start dialing” to start.